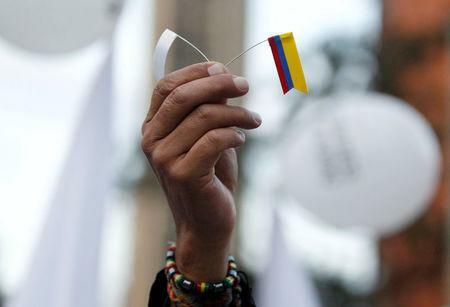 BOGOTA (Reuters) - A revised peace accord between Colombia's government and the Revolutionary Armed Forces of Colombia is final, negotiators said on Tuesday, a statement likely to anger those who rejected the original draft in a referendum as too favorable to the rebels. Chief government negotiator Humberto de la Calle said the new pact to end 52 years of war with the Marxist FARC group was the best and most complete agreement the two sides could achieve, and it will not be adapted again. 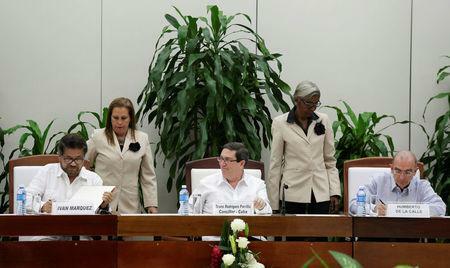 "This is the final accord; it's the definitive accord," he told reporters in Bogota. "There's really no room for more negotiation." A decision on how the new accord will be approved will come after meetings with legislators, which are expected soon, Interior Minister Juan Fernando Cristo said. The law does not require President Juan Manuel Santos to hold a new referendum, so he could try to ratify it through Congress. The expanded and highly technical 310-page document appears to make small modifications to the original text, such as clarifying private property rights and detailing more fully how the rebels would be confined in rural areas for crimes committed during the war. Some in the opposition, who had asked to study the draft before it becomes final, have criticized it as just a tweaked version of the original. But the government said it studied 500 or so proposals from the opposition, religious leaders and others to end a conflict that has killed more than 220,000 and displaced millions. De la Calle said the new draft addressed 80 percent of their concerns. The original text was narrowly rejected in an Oct. 2 plebiscite as many objected to allowing the rebels to hold public office and serve punishments other than prison for crimes. The new agreement will not jail rebels, but those who confess to war crimes will be restricted to specific rural areas for between five and eight years. The rebels will still be able to hold office. 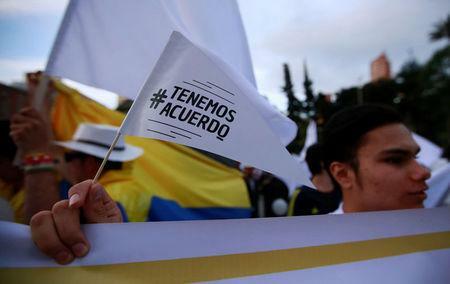 Former President Alvaro Uribe, who spearheaded opposition to the original accord, is likely to be angry about the latest version and want deeper changes. He has not commented so far on the deal. Even if the new accord is criticized, Santos, who won the Nobel Peace Prize last month for his efforts to end the war, hopes it will unite a nation divided by last month's referendum.